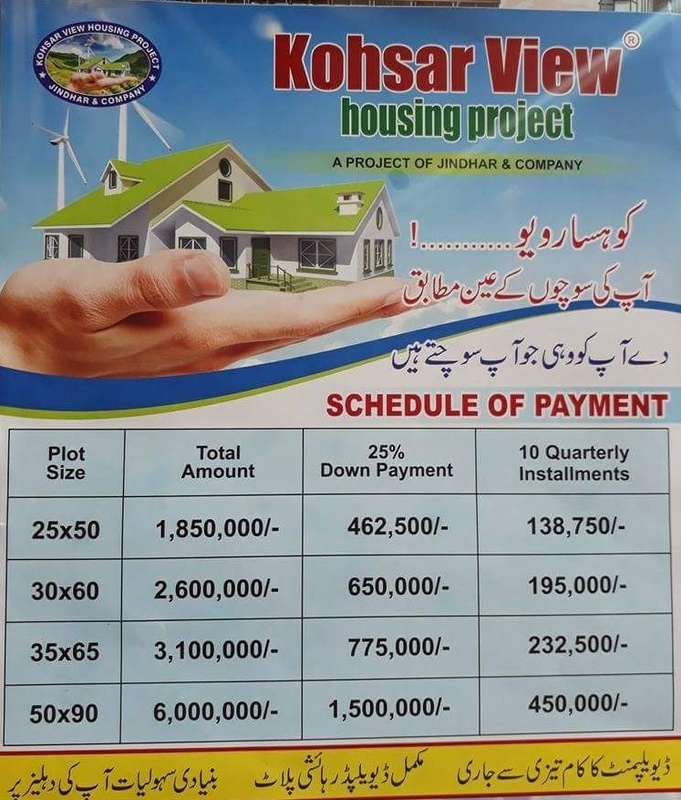 Kohsar View Housing Scheme is not a very big housing project. If you check RDA, you come to know that it is approved over an area of 600 kanals of Land in Mouza Lakho, Rawalpindi. They may have additional land in that area, but town planning is approved on just 600 kanals. As you can see on the location map, Kohsar View is connected to various major roads including Girja Road, Misrial Road, Qasim Market Road, Haji Camp Road, CDA sector service road and projected Rawalpindi Ring Road. Kohsar View is a developing housing project, and it claims to offer developed plots on easy installments. The society is bound to transfer 100% ownership of land to the buyers on completion of plot payments. There is no map or master plan of the Kohsar View available with us, nor do we find any sign of development on the area marked for this society. Still, it is approved, and maybe they are just starting development work. 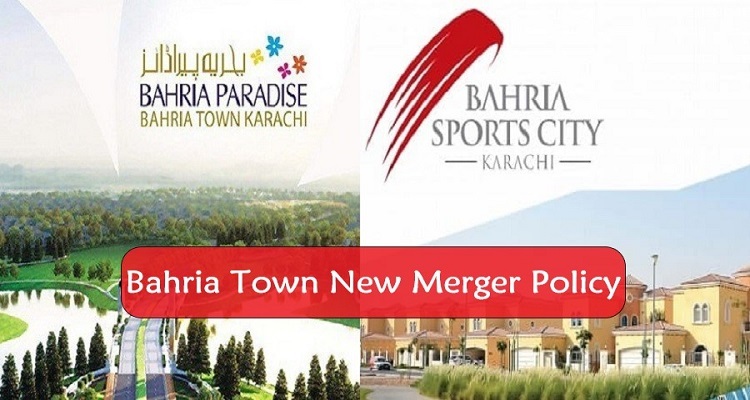 The society is offering different sizes of residential plots on 2.5 years installments. 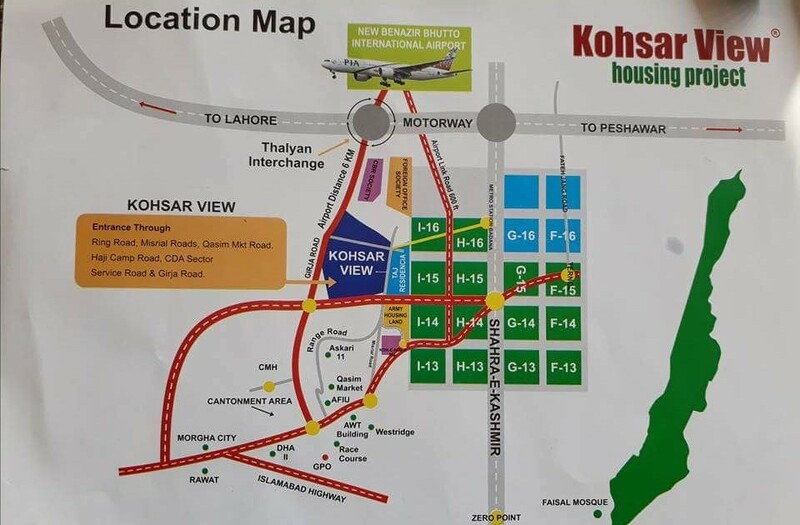 The prices of Kohsar View residential plots seem quite expensive, however if they properly develop this area, it will be one of the best housing projects for residence with easy access to all landmarks of Islamabad/Rawalpindi. It is recommended that you should visit the project site first to see the development progress on ground, and then decide to book your plot in Kohsar View Housing Scheme.